The aim is that people will want to come and see how it can be done in a better way and encourage others to up their game. We should be pioneering things here. 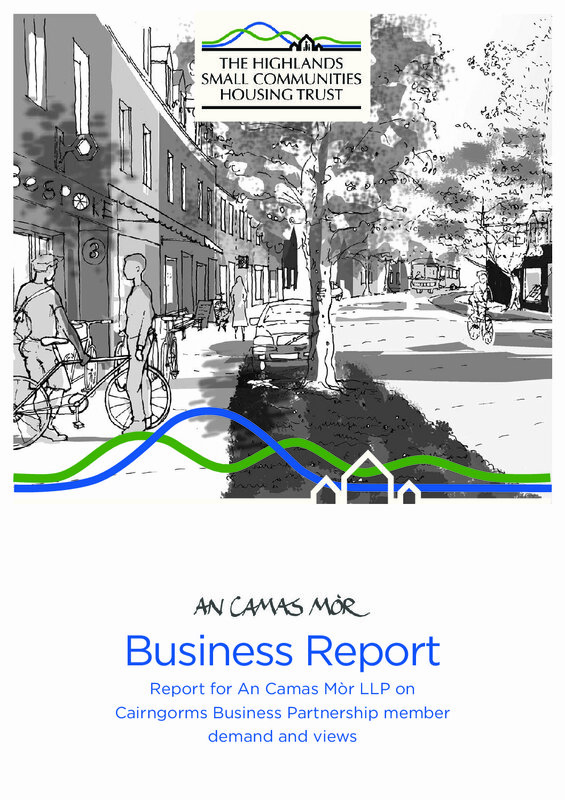 The backbone of An Camas Mòr is a busy high street, with space to open a shop, restaurant, pub, café, street-facing office for professional services and Hotel. The masterplan is based on the principle of one workplace for every home. Workshops and sheds – storage for outdoor activity equipment, light manufacturing or good value premises. A ladder of different workspaces and tenures – from shared workspaces to large workshops and high-street premises – and short-term to long-term leases. I think An Camas Mòr will most definitely have a positive impact on my business and see an increase in demand which will enable me to take on more staff. An Camas Mòr plans to provide a solution to alleviate the shortage of badly needed small office accommodation to encourage growth amongst the many micro businesses operating locally. An Camas Mòr will help to end the current situation where a lack of affordable housing in the area results in too many working-age people and their young families leaving the area and taking their skills and passions with them. An employer in the field of Research and Education has expressed interest in providing learning opportunities and skilled employment at An Camas Mòr. New facilities for technology and innovation present a unique opportunity to attract higher value employment to the central Highlands and diversify an economy dependant on tourism. An Camas Mòr could enable skilled Highlanders to find skilled work locally – so that younger people and the highly educated no longer feel they need to move away for a fulfilling and well-paid job. I am from the local area to An Camas Mòr location. Would be a potential settlement for myself to live in after I finish University and gain a job if it’s in the local area. An Camas Mòr could bring a number of socio-economic benefits to the Cairngorms National Park helping to deliver against the four aims of the National Park. To give people who work locally a fair opportunity to own or rent a home they can afford, An Camas Mòr is working with The Highlands Small Communities Housing Trust (HSCHT) with the support of the local Community Council. Their survey of local business partnership members reports that a lack of housing that people in local jobs can afford is a constraint on their business. The Cairngorm Business Partnership’s Summer 2016 Business Barometer showed that the lack of affordable and suitable housing was the single most important issue they face when recruiting staff – Gehl’s findings from the Community Events show that this is still the case.